This exceptional shampoo bar harmonizes with your uniqueness and is made to be as body-friendly as possible. So turn your “washing” routine into a pleasant experience, refreshing the entire body! Experience a whole new approach to your “washing” routine and enjoy a natural lather from head to toe. Our Buriti Shampoo Bar is made from the finest ingredients directly from Africa to enhance your daily cleansing, yet protect, soften, and deeply care for your skin and hair naturally. We start with the super base oil of Buriti (derived from the fruit of the Aguaje and it means “Tree of Life”), replenishing moisture, restoring elasticity, repairing chemically damaged hair, adding shine and silkiness, as well as repairing lines in wrinkles in the skin. The pulp of the Buriti Fruit oil is extraordinarily rich in Vitamin A, which combats hair loss and can give “life” to dry hair, with the additional benefit of being a natural SPF factor. The reddish-orange color in the Buriti oil derives from a high concentration of beta-carotene, even more than carrots! 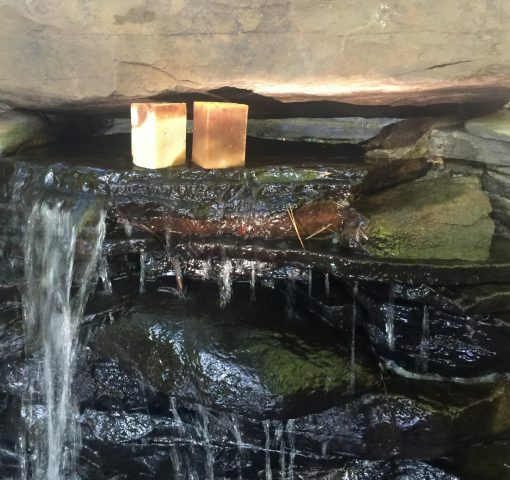 Also included in this amazing “shampoo bar” is our Kombo Butter (derived from Africa forests) it reduces and controls skin natural oils production; its strong antiseptic properties neutralize body odor, its anti-inflammatory properties fight acne and various skin infections of the sensitive, allergic skin. This perfect shampoo bar harmonizes with your uniqueness and is made to be as body-friendly as possible. So turn your “washing” routine into a pleasant experience, refreshing the entire body! Step 5: After cleansing your hair with our Buriti Shampoo bar, apply our Caiaue define curls hair creme evenly through hair with fingers from roots to ends. Style as desired. Step 6: Leave the bar out in the air to dry, ready for another use. I purchased this shampoo bar after searching for a more natural shampoo. My regular store bought shampoo often left my hair feeling dry. The Buriti shampoo bar made my hair feel so soft afterward that I tossed in some leave-in conditioner and was good to go. I even used some to wash my face. Will definitely add this into by wash day routine.